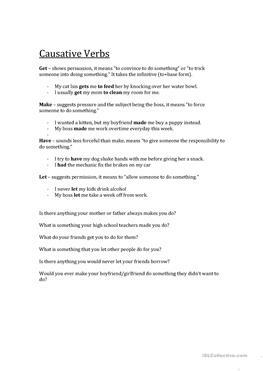 Let / Make / Have / Get The following is a mini-tutorial on the use of the causative verbs "let," "make," "have," and "get." After you have studied the tutorial, complete the associated exercises. Be aware that only have, let, and make are the true causative verbs because they are the only ones that take a base verb. 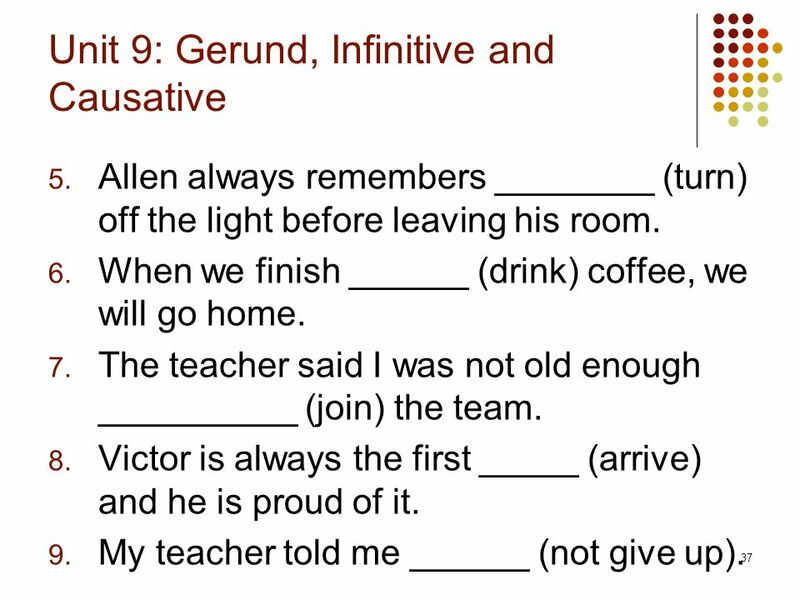 The others take an infinitive verb (the usual case—any second “object” verb in English will be a gerund or an infinitive). These verbs include get, force, allow, and cause.